Although the initial outlay of cash is higher, there are definite advantages to buying high-yield toner for your printer. This is especially true for businesses such as an auto dealership, attorney’s office, or school, which may print literally hundreds and thousands of pages a day. Consider some advantages and benefits of using high-yield toner in your printer. The cost of a high-yield toner cartridge may initially make you want to go for a cheaper option; admittedly, they can cost almost twice as much as a standard one. But what really matters is cost per print (CCP), that is, how much it actually costs you to print a single copy. The truth is, when you crunch the numbers, high-yield toner is almost certain to reduce your printing expenses. It can cut your CCP in half, or even more. If you pay less than twice as much for high-yield toner but get twice as many copies, you’re already ahead. 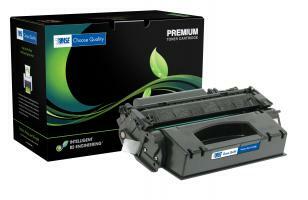 Some high-yield toners can print up to four times more pages than standard toner cartridges. In fact, there are now high-yield toner cartridges that can print 8,000 pages. Add to that the fact that you won’t have to order toner as often, thus saving money on shipping costs. Plus, you won’t have to change the toner as often, saving time, which, as every good business owner knows, is money. Changing the toner less often also reduces the likelihood of damaging the printer; the less often someone’s hands are in it, the better. Many individuals and companies are opting for high-yield toner for a more noble reason in addition to the financial one: it helps to save the environment. How? For one thing, greenhouse gases are emitted during the manufacturing of toner cartridges; the fewer cartridges we use, the fewer have to be made. Second, if you use standard toner cartridges – meaning you have to order them more often – more packaging material and fuel are needed to ship them to you. And third, one toner cartridge takes an average of 450 to 1,000 years to break down since they’re made mostly from plastic, and hundreds of millions are taken to landfills each year. So if you or your company are making efforts to be more green, you can not only save money but you can reduce your carbon footprint by using high-yield toner. Of course, you can also recycle the cartridge instead of throwing it away. Many manufacturers and distributors offer this as a regular part of the service they provide. High-yield toner may not be for those who have a low printing volume. Toner has a shelf life and expiration date; after about two years, it may not work anymore. So if you only print a couple of pages a week, opt for standard toner. But for most individuals and businesses, high-yield toner is the best choice.